This is the last in a series of interviews with the fabulous sponsors of the 2015 Rhinebeck Trunk Show. When I decided to approach some small businesses about sponsoring this year’s trunk show, Patti Odinak of Yarn Culture was the first person I emailed. Patti opened the store two years ago in Fairport, New York, which is just outside of Rochester and a little under 300 miles from Rhinebeck. 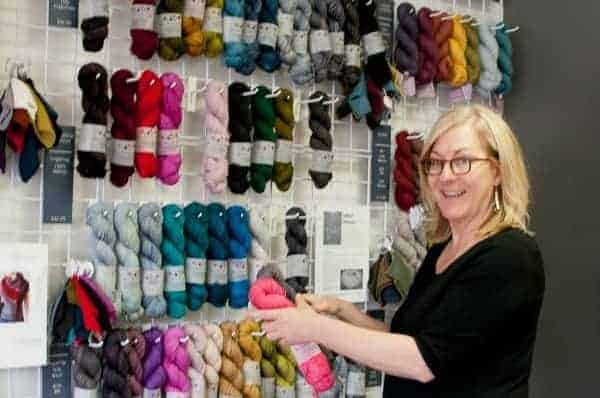 Both the store and the online shop, as well as the knitting events that Patti and her husband, Mitch, travel to, have a well-curated selection of indie dyers, including The Uncommon Thread and Eden Cottage Yarns, both from the UK and both part of the Indie Untangled marketplace. It’s the kind of shop I would definitely make my local if I lived nearby. Not only was Patti willing to do a featured sponsorship, but she also asked if she could have a booth at the show, bringing some TUT and Eden Cottage. I was sold, and loved the idea of having Yarn Culture represent two of my favorite Indie Untangled dyers. It aligns perfectly with what Patti says is the shop’s goal — to partner with these artisans and make their products more widely available to knitters. Tell me about the decision to open Yarn Culture. Was running a yarn shop a longtime dream of yours? I didn’t have a dream to own a yarn shop per se, but I knew I wanted to own a shop. I’ve always loved yarn and knitting, so it made sense to see if I could make it as a business. What did you do before you became a yarn shop owner? My professional background is in marketing, working for small and large companies for 17 years. In 2000, I co-founded a marketing and communications company that is still operating today. From 2007 to 20011 my husband’s work was based in Europe, so our family enjoyed the ex-pat life for four years. It was a great experience for me and was the perfect setting to rethink how to best combine my skills and passion into a work experience that was very different from what I had been doing. Why did you choose the dyers that you carry? We look for dyers, designers and manufacturers who have something that is unique and recognizable — their own design signature. Our goal is to position Yarn Culture as “partners” with these artists to bring their products to yarn and knitting enthusiasts. When a customer visits Yarn Culture – whether in our store, online or at an event — we want them to find yarn that isn’t readily available other places. Eden Cottage Yarns and The Uncommon Thread are both excellent examples of artists who we love to represent. I learned to knit as a young girl in pursuit of a knitting badge in Girl Scouts. We moved a lot when I was a child, so the portability of knitting was perfect for car travel. Like most knitters, I have a lot of favorite designers! Those who I’m particularly attracted to right now include Melanie Berg, Amy Herzog, Thea Colman, Lori Versaci, Julie Weisenberger and Joji Locatelli. While each designer has her unique design signature, they all create designs that are fashion relevant and timeless while being achievable by most knitters. 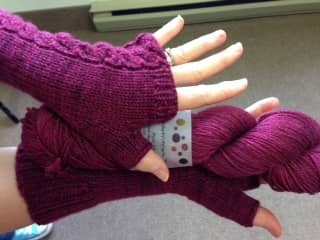 Thea Coleman’s London Mitts in The Uncommon Thread. 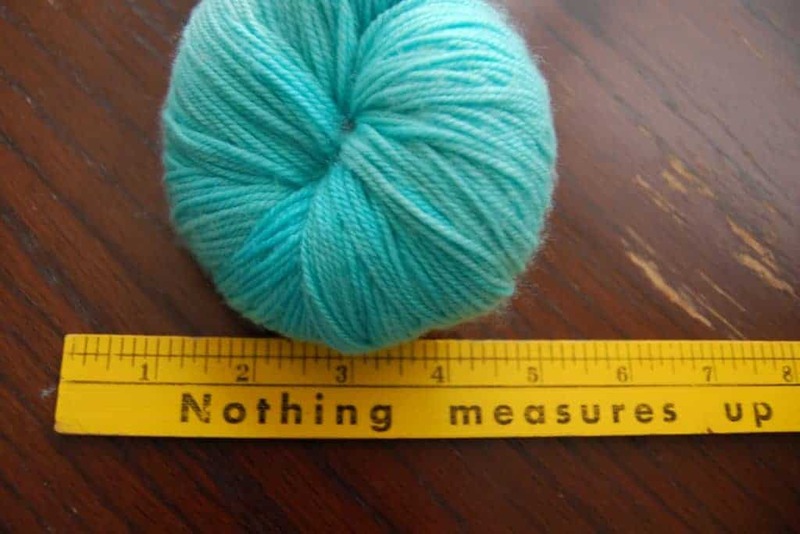 Is there an FO that you’re particularly proud of? I’m proud of every project I finish, and I finish more now that I’m a shop owner! I like being able to talk to customers about designs from my personal knitting experience. It helps me anticipate when someone might need a new skill or need to be particularly vigilant as they knit along. Do you enjoy any other crafts in addition to knitting? I have tried weaving and really enjoyed it and I’m planning to learn to crochet in the next year. What are some of the best things you’ve learned while running your business? 1) Working in a business where I have a real passion is fun! I work as hard or harder than ever, so it I’m glad I love it. 2) There are a lot of really nice and talented people in the fiber arts world. I love the opportunities to meet and work with them. What does the future hold for Yarn Culture? 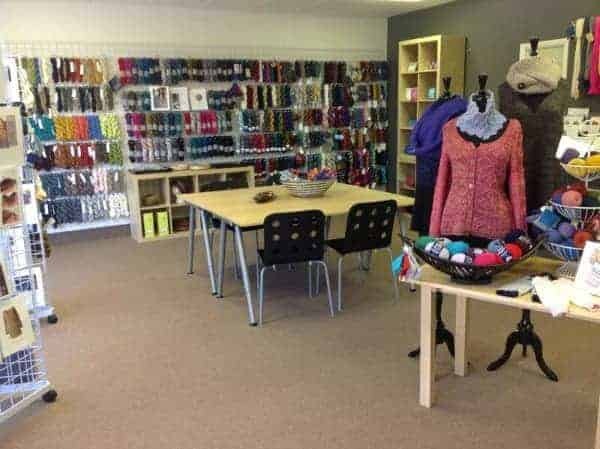 We’re still a new business, so we are continuing to focus on finding as many opportunities as we can to get the word out about our shop and the yarns we carry. For the next year or two, that will mean a lot of shows and events like the Indie-Untangled Trunk Show. Thanks for allowing us to be part of your event! This entry was posted in Q&A, Rhinebeck trunk show and tagged interview, rhinebeck trunk show, yarn. Love this interview and pleasure to know this lovely people working on the knitting world! Hope one day they can considere me as designer, I´m have lot of experience and like they said I can bring to life those marbles yarns, if somebody want to look my creations please contact me!